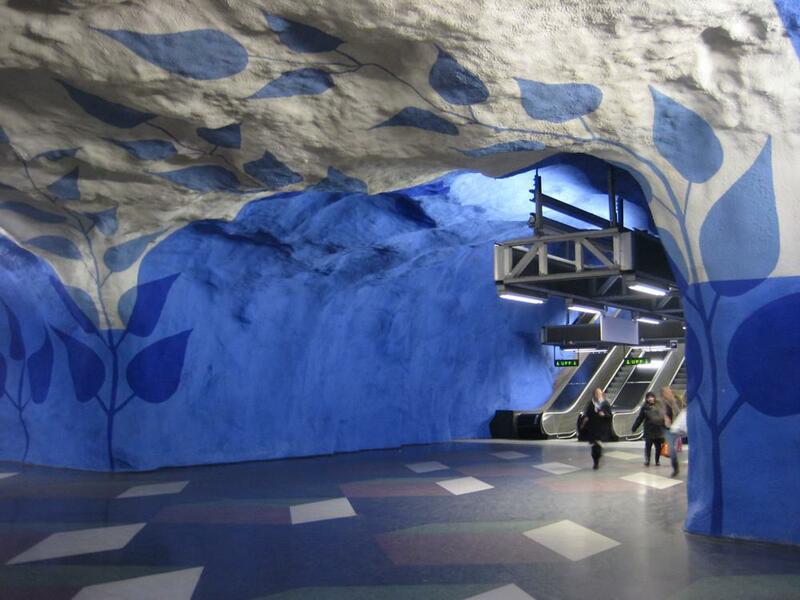 HomeBlogArchitectureStockholm Metro – A gigantic art exhibition. 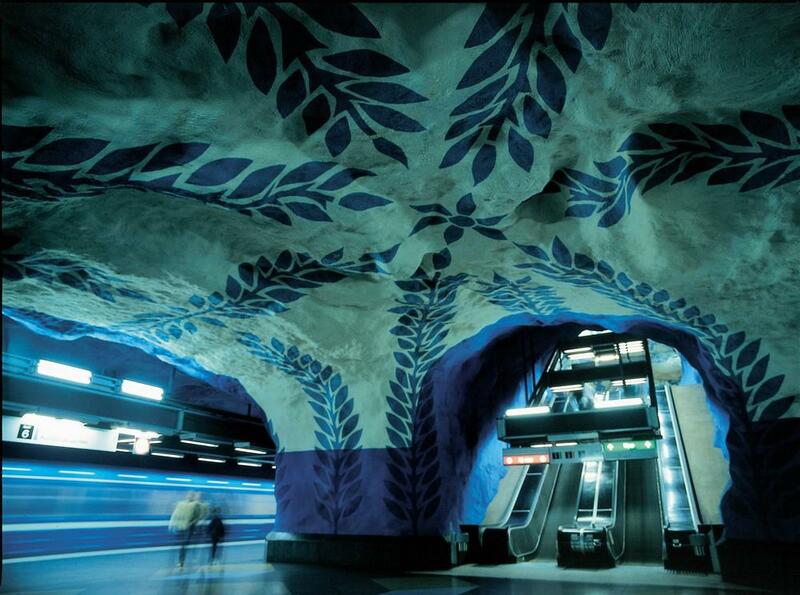 Stockholm Metro – A gigantic art exhibition. 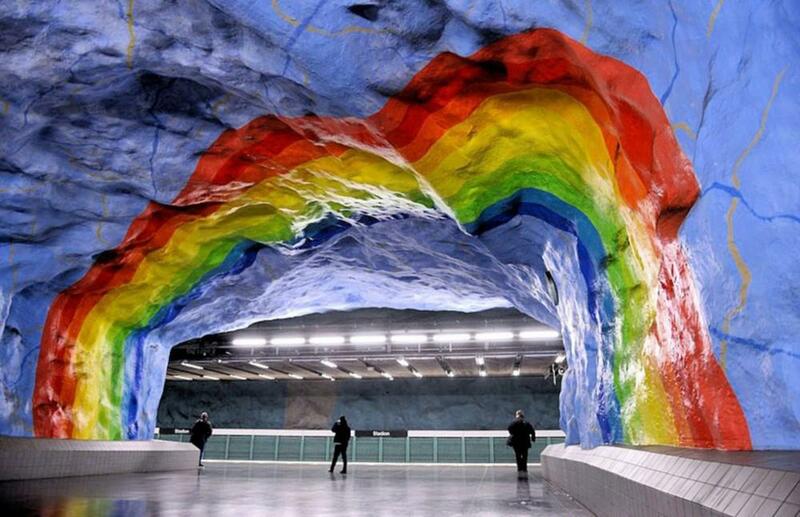 The Stockholm Metro is a gigantic art exhibition. 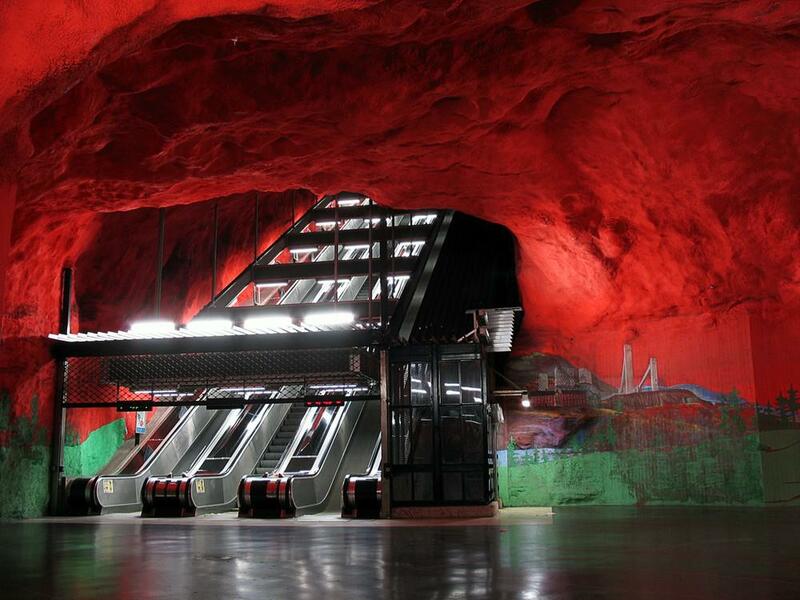 More than 90 of its 100 stations feature artworks created by 150 different artists. 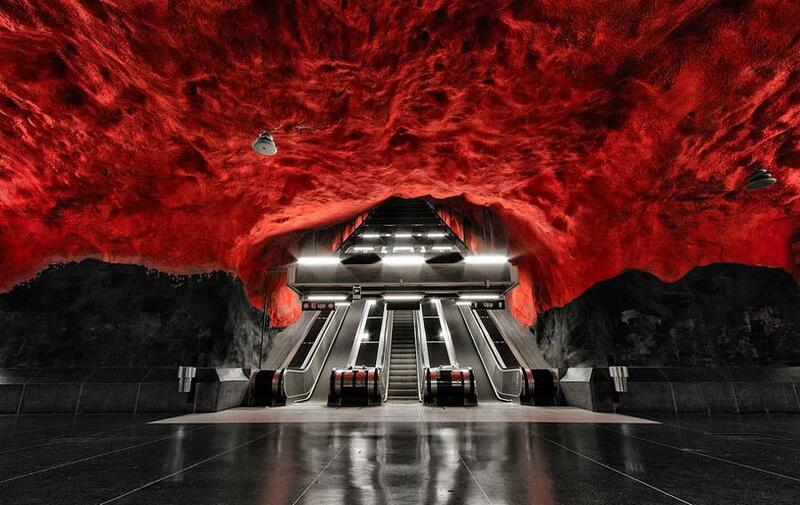 The Tunnelbana (or T-bana), the Subway network of Stockholm is 105.7 km. 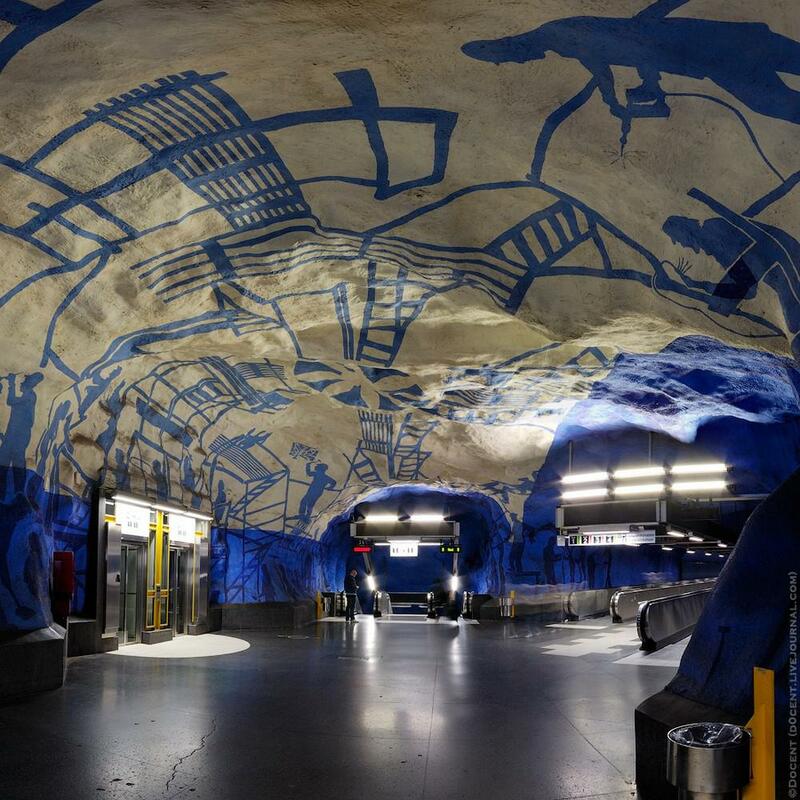 long and traveling by metro is like traveling through an exciting art history exhibition that extends from the artistic pioneers of the 1950s to the art experiments of today. 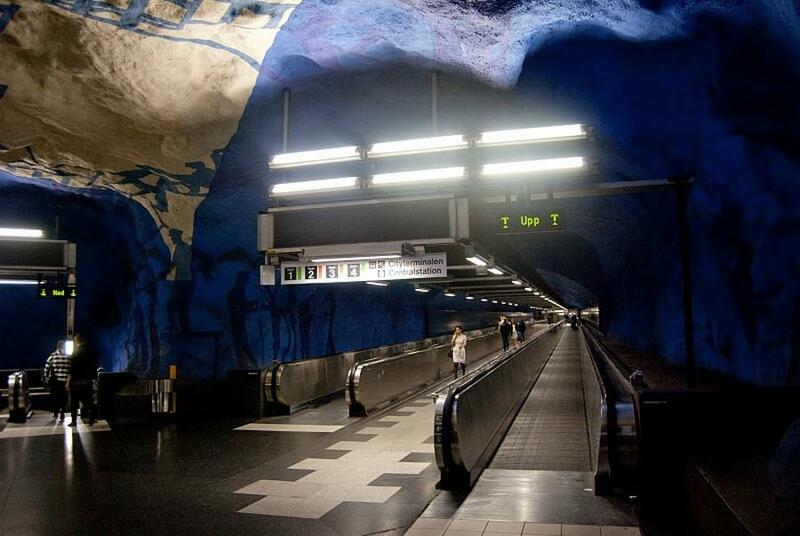 The stations have been decorated with outstanding statues, paintings, fountains, mosaics and many other installations of classic and modern art along with other temporal exhibitions. 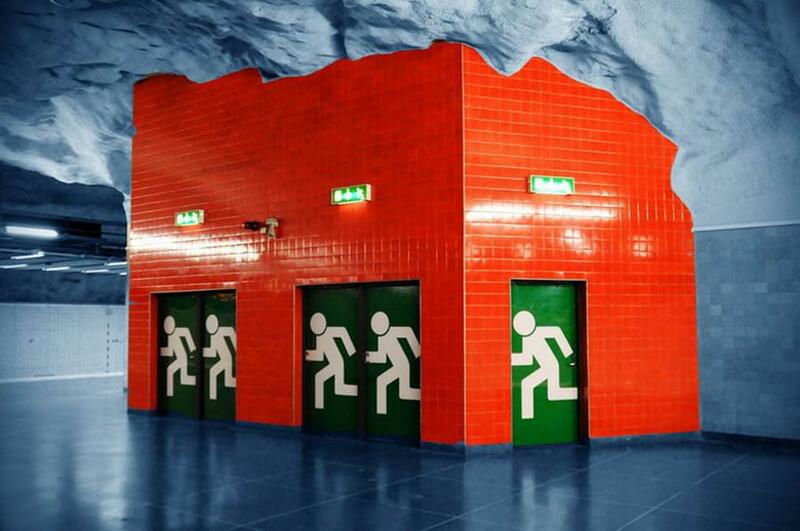 Many of the 1950s stations were designed by Peter Celsing. 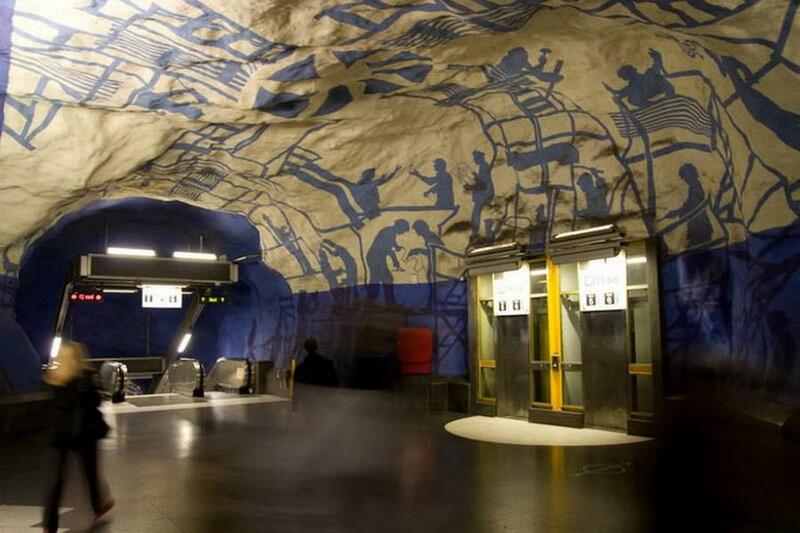 He was the chief architect of the Stockholm Tramways, Stockholm’s Sparvagar, from 1948 to 1952. 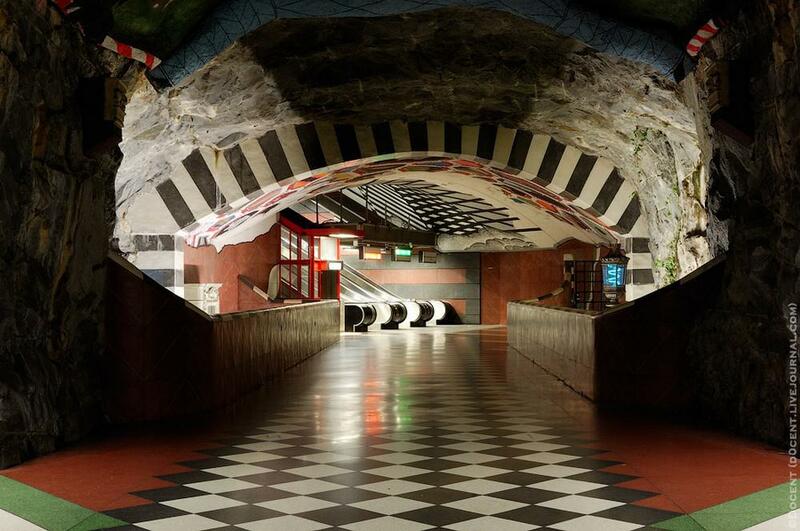 In the Stockholm of the 1950s artists Vera Nilsson and Siri Derkert were the prime motivatos behind the campaign to bring art to the Metro. 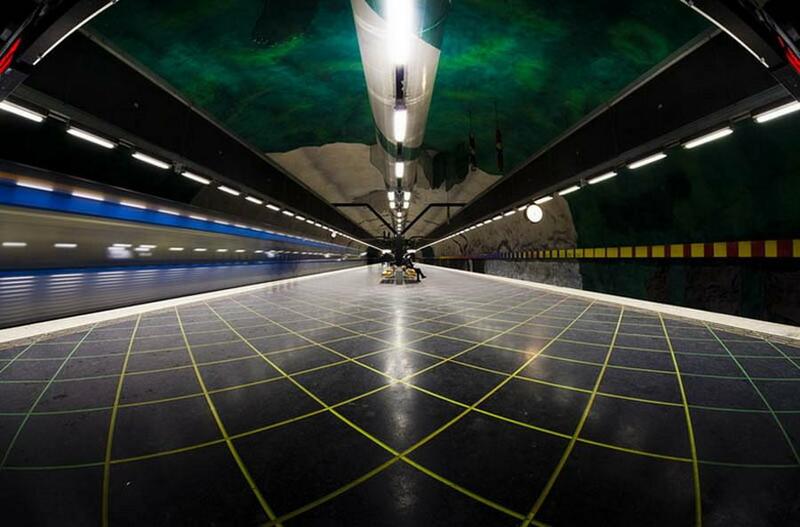 Most of the 1960s stations were built below ground, with only a few above ground. 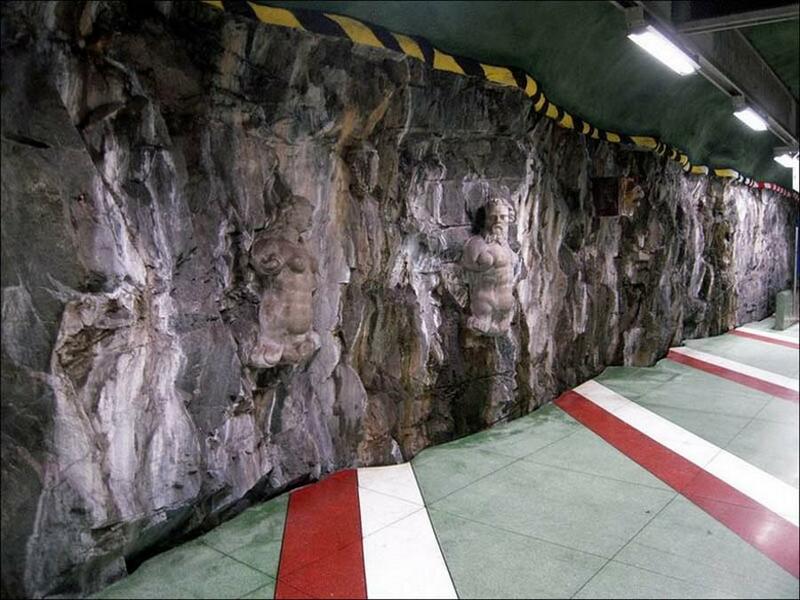 Instead of cladding the rock in concrete, as during the 1960s, in the 1970s the approach was to cover the rock face with a layer of sprayed concrete 7 to 8 cm thick. The water was drained away in pipes behind the concrete. 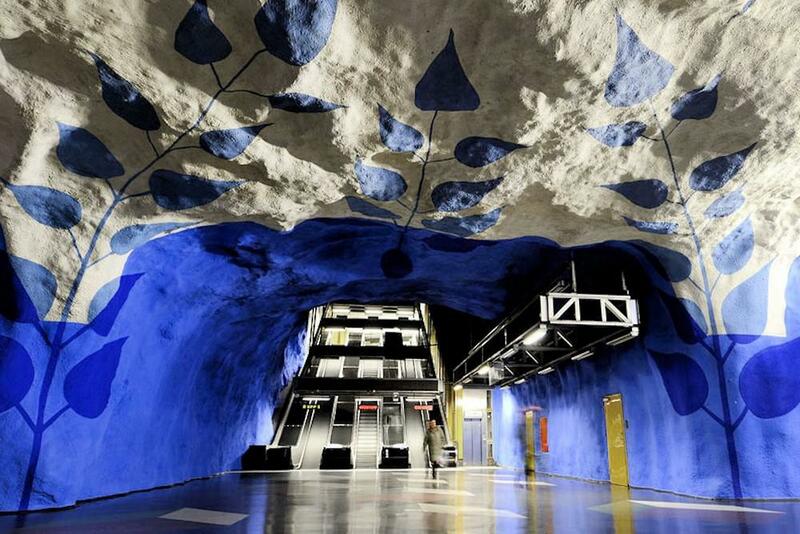 The sprayed concrete follows the shape of the rock, giving an illusion of a station in a cave. 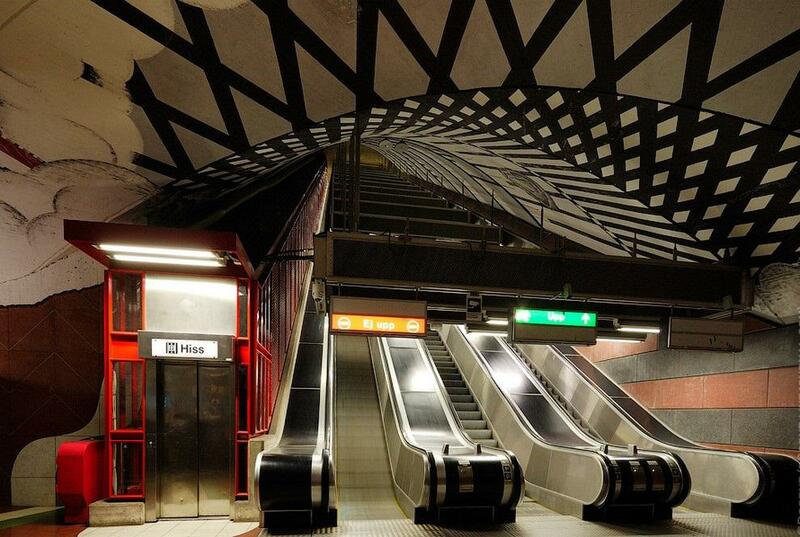 The first station to be built using this method, Masmo, was completed at the end of 1971 and began to be used in 1972. 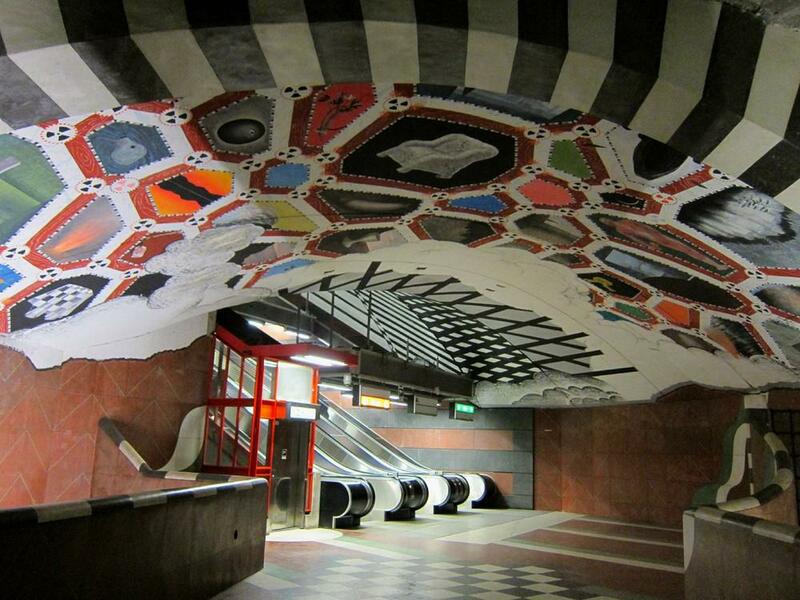 The typical Metro art of the 1970s included stations designed as a coherent whole, with artists working in long-term partnerships with architects and engineers to create complete environments rather than individual artworks. 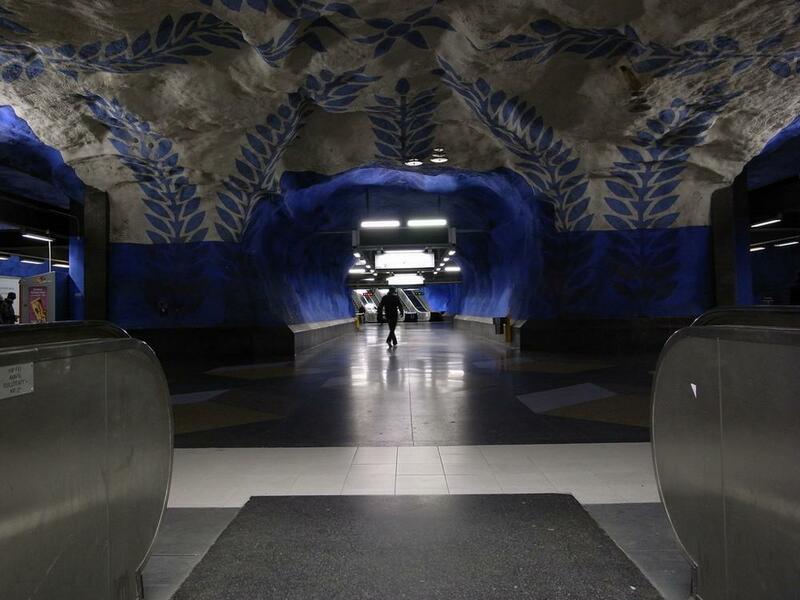 Nowadays, in many cases, art is created by artists who use techniques that would not survive long-term in the tough environment of the Metro – graphics, drawings, paintings and textiles. 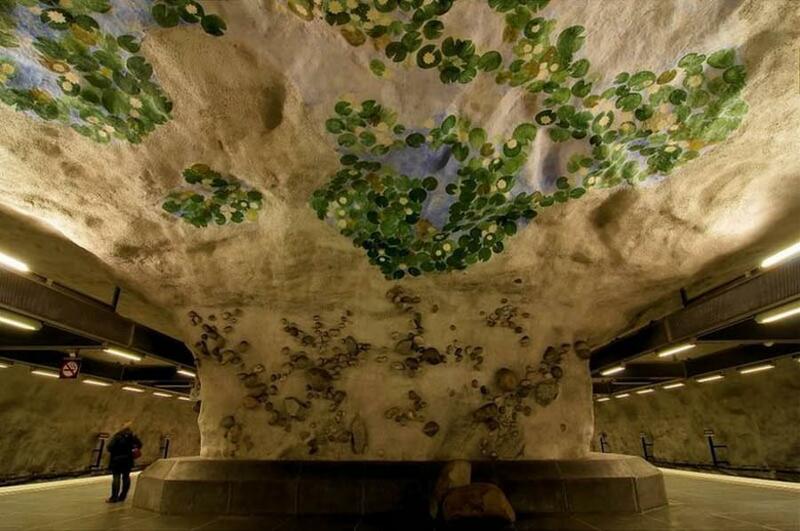 Stockholm metro stations give more artists the opportunity to show their work in a public space, despite no new stations currently being built. 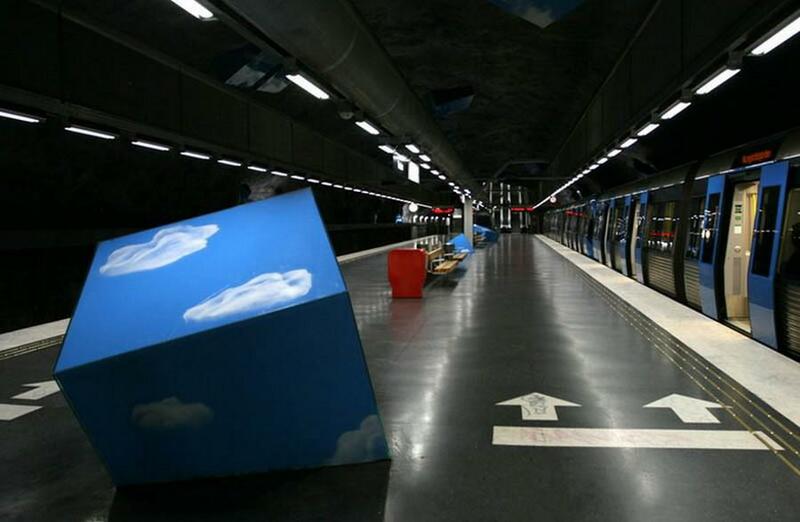 Therefore in six of the stations the temporary art is replaced 1–4 times a year. 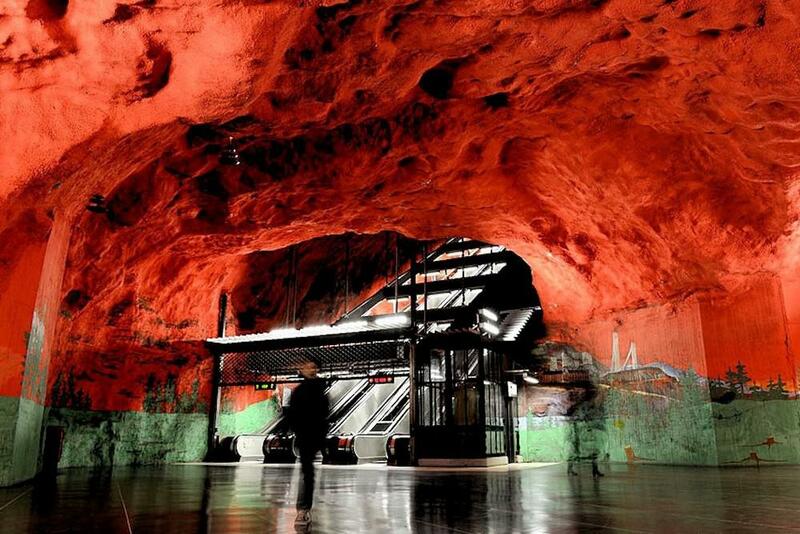 You will meet men-at-work at T-Centralen metro station, a cave-like bright red ceiling at Solna Centrum with spruce forests on the walls, or even Roman sculptures simply strewn around at Kunstradgarden! As if it’s just another everyday thing! Flux Cocoon in Lausanne Switzerland by Allegory. Non - Billboard an anti-advertising installation by Lead Pencil Studio. Fiber Optics Art Installations by Carlo Bernardini. 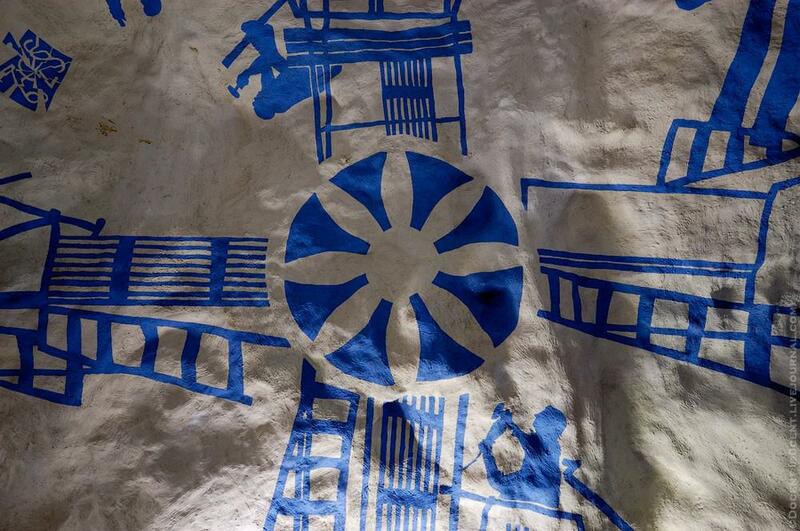 Sculpture by the Sea by Nicholas Elias.